Foreclosed homes are properties that must be sold to recover a debt resulting from the homeowner being unable to make payments on his or her mortgage. There are several different types of foreclosures (and laws regarding them differ from state to state) but a majority of the time, these properties then sell at a discounted price, much lower than current home prices. In Oregon, after the conclusion of a foreclosure process, a property can be auctioned off (as long as the remaining debt on the home or property is fully paid by during the auction). These foreclosure auctions can be a way to get a good deal on your next home. But remember, buying a foreclosure can be risky and complicated, so proceed with caution and don’t hesitate to contact the Song Real Estate team for professional advice. If a foreclosure auction is unsuccessful, a home that has already gone through the foreclosure process will become the property of the bank or loan insurer. Those properties are called Real Estate Owned Properties (REOs) or Bank Owned Properties. You can often get a great deal from these transactions, but there are many things you should be aware of so that you can protect yourself from a deal that’s just too good to be true. There are several things that differ significantly when buying a home from an individual seller verses from the bank that has foreclosed on a property. One major difference is that when buying a foreclosed home, you will not receive a disclosure statement. A disclosure statement is a description of the property and the seller’s experience in it. A disclosure can tell you everything from defects with the house to complaints of loud neighbors and nearby construction projects. Disclosures are extremely helpful during the home buying process, so it’s just that much more important to inspect and fact-check the house as thoroughly as possible when buying a foreclosure or REO. Foreclosed homes are often damaged and may have unforeseen issues, so be prepared to handle the risks. Another thing to remember is that banks will sell you the home “as-is” meaning that all of the responsibilities and burdens of home repairs fall to you, the buyer. 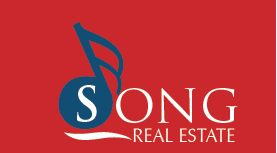 A blogger at realestate.com sums it up well, saying, “Buying a foreclosed home requires either lots of experience, lots of research, or the assistance of someone who has acquired both.” The agents at Song Real Estate have definitely acquired both, and we are available for consultation if you are looking to buy a foreclosed or Bank Owned property.